Black Jack is one of the least known of Ken Loach’s early films, appearing as the only cinema feature between Family Life (1971) and Fatherland (1986). During that long period, when Loach should have been establishing himself as a major international filmmaker, he was confined to television and then in the early 1980s almost kept off screens of any kind (as he would be again in the late 1980s). 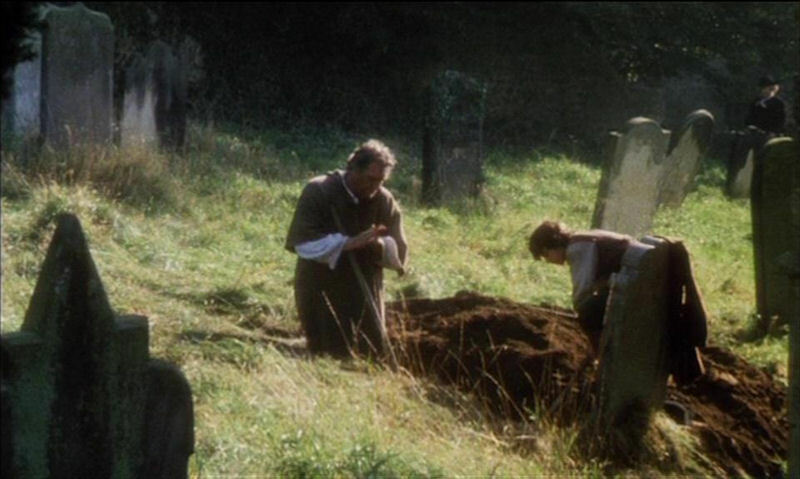 The television years were by no means wasted as John Hill points out in Sight and Sound, October 2011 and Days of Hope (1975) was, I seem to recall, shown on cinema screens in France. So how did Black Jack come about and why was it generally forgotten for such a long time, only recently appearing on a BFI DVD? The DVD includes a Loach commentary and he has also spoken about the film in Graham Fuller’s book, Loach on Loach (Faber 1998). He explains that although the second of Kestrel Films’ releases, Family Life, had been a flop in the UK, it had attracted attention in France. Tony Garnett, Loach’s partner in Kestrel Films, thought that with the right property another film release could exploit this French interest. However, the UK film industry in the 1970s was in dire straits and the prospects of finding investors for a feature production were poor. Then Garnett discovered that a ‘children’s film’ stood a chance of attracting public funds via the National Film Finance Corporation. Kestrel Films were then able to embark on an adaptation of a novel by Leon Garfield that Loach knew from his own children’s reading. The story was changed in two crucial ways. First, ‘Jack’ was made into a Frenchman and second the location was shifted from Sussex to North and East Yorkshire. Clearly the casting of Jean Franval was supposed to help the film in France, but I haven’t been able to find any evidence of French money in the production – or whether or not the film played in French cinemas. The film did appear at Cannes where it won the Critics’ Prize and it is listed with various alternative titles suggesting that it went to both North America and across Europe – I suspect that a subtitled version might have worked well. The story is set in the 18th century, 1750 to be precise. 12 year-old Bartholomew (‘Tolly’) finds himself unwittingly helping a giant Frenchman, ‘Black Jack’, escape the hangman’s noose and is then forced to accompany him in fleeing from York. On the road Jack and Tolly become involved in rescuing a young girl, Belle, who is being sent to an asylum so that her unseemly behaviour will not threaten the marriage arrangements of her elder sister. Eventually, the three companions end up travelling with a fairground troupe with Belle’s fate being fought over by her father, the men who run the asylum and a blackmailer, all determined to get her back. When the film was released (by a small independent distributor, Enterprise Films) I’m afraid that, despite being a Loach fan, I stupidly dismissed it as a ‘children’s film’. I should have known better. Watching the film now, three points are clear. First, it looks terrific and demonstrates just how well cinematographer Chris Menges’ approach fitted in with Loach and Garnett’s vision. Second, it is clearly part of the overall ‘project’ of Kestrel Films and the broader spread of Loach’s work – and it also relates to other radical attempts to rethink ‘period drama’ during this period of British Cinema. Third, wonderful though it is, it doesn’t quite hold together – or perhaps it just has a couple of problems. But it’s still absolutely worth seeing. The main problem, as Loach admits, is that there just wasn’t enough money to re-shoot scenes or to spend the necessary time on aspects of post-production. The sound mix is certainly a problem – at least on my old TV – but DVD Beaver (the bible on such matters) says it is OK. Loach tells us that the mix was done one weekend and there really wasn’t enough time. In casting the film, Loach and Garnett relied on the local performers that they had found in South Yorkshire around the time of Kes and who were subsequently used on other Barry Hines scripted projects. Some critics have objected to the ‘modern’ working-class accents of South Yorkshire being used by characters from rural North and East Yorkshire in the 18th century, but the accents worked for me – I simply couldn’t hear them well enough in the mix. It is the hesitant speech of what I take to be mostly non-actors which coupled with Menges camerawork (using natural light, I think) that gives the film is naturalistic qualities. The interiors were shot on 35mm and the exteriors on 16mm and this works well. As with Kes, Menges brings to the image something that is simultaneously ‘realist’ but also ‘magical’ and perhaps ‘romantic’. Certainly it feels different compared to the more observational, but ‘immediate’, style of Barry Ackroyd seen in most of Loach’s later films in the 1990s and 2000s. I was pleased to go back and discover a paper I’d forgotten about by Deborah Knight entitled ‘Naturalism, narration and critical perspective: Ken Loach and the experimental method’ (part of the collection edited by George McKnight, Agent of Challenge and Defiance: The Films of Ken Loach, Flicks Books 1997). Knight tries to rescue Loach from the critical attacks from both right and left. The attacks from the right are not surprising and shouldn’t really trouble us, but Loach certainly deserves to be defended from Colin McCabe and those Screen theorists who held to the notion of the ‘classical realist text’ and how it is inevitably a bourgeois form. This isn’t the place to discuss that debate in detail but it’s interesting that Knight traces the development of naturalism back to the novels of Emile Zola with their direct exposition of social ills in the industrial regions of North East France and how they influenced British novelists like Arnold Bennett and George Meredith. She then traces the influences through to the so-called ‘Angry Young Men’ of 1950s writing in Britain and the New Wave films of Tony Richardson, Lindsay Anderson and Karel Reisz. Loach, she argues is in this tradition. What McCabe sees as a weakness – the the influence of the realist literature of the late 19th century – she sees as a strength and she argues that it is one of three distinctive features of British ‘naturalist’ drama. It’s partly that the realist novels discussed contemporary social issues, but also that they focused on working-class and lower middle-class characters – ordinary people living through social changes. Secondly she picks out the emphasis on dialogue in British Cinema, partly influenced by the theatrical tradition, but also by the celebration of regional voices through various forms of popular entertainment. And finally she emphasise the importance of location shooting. This latter has always struck me as related to a general enthusiasm for documentary in the UK since the 1930s. The attempt to offer a more socially-committed historical drama ties Black Jack to films like Comrades (dir. Bill Douglas 1986) and Culloden (dir. Peter Watkins, 1964). In terms of literary adaptation it follow Tony Richardson’s Tom Jones (1963) and precedes Michael Winterbottom’s radical take on Jude (1996). In terms of British genre cinema it has links to Witchfinder General (dir Michael Reeves, 1968) and Rob Roy (dir. Michael Caton-Jones, 1995). All of these films, set at different times from the 17th to the 19th century, represent the rural regions of Britain in interesting ways and to some extent offer the possibilities of the picaresque and action-adventure found in American genres like the Western. Black Jack stands out because, despite the title, it has a pair of twelve-year-olds at its centre. Whether this makes it a ‘children’s film’ I’m not sure. I think that contemporary audiences of children would need some support in engaging with the story, which is very loosely structured, but the younger characters are both entertaining and affecting. The social commitment in the film resides in its drive to expose the conditions of the asylum and its central role for the ‘marginalised’ in society, e.g. the travelling fairground people. ‘Authenticity’ is always a tricky issue with historical films, especially those that suggest a form of realism. Black Jack features a pair of highly literate young apprentices (with no suggestion where they may have learned to write quite sophisticated letters, although Tolly does have an uncle who captains a ship). It’s the relatively large sums of money that are quoted that struck me as odd but perhaps this is intended to make it easier for audiences without the historical knowledge to follow the plot points easily. Overall, Black Jack is well worth exploring. It’s perhaps surprising that Loach has not made other films set in the 18th or 19th centuries – periods of enormous social change and various forms of radical politics. He has made 20th century historical dramas of course, not least The Wind That Shakes the Barley, and we’ll try and look at some more of these in due course. I believe my old mate from the Royal Hallamshire Hospital Ted Beyer starred in this . RIP Ted , you were a great fella! !